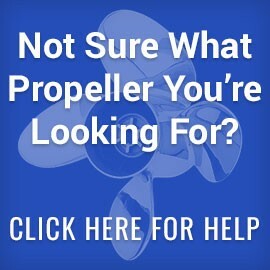 Leading the market with over 25 years of experience, Oz Propellers is the name to rely on for marine propellers. Whether you’re looking to replace your current outboard propellers or just after a quality upgrade, rest assured that we’ve got your needs covered! Choose from our excellent range of boat propellers with renowned brands including Mercury, Yamaha and more! With our commitment to quality and affordable prices, you won’t have to settle for less when you shop with Oz Propellers. Ensure your vessel is performing at its peak and prolong lifespan with boat propellers from Oz Propellers, the name Sydney residents trust. We ship our boat propellers Australia-wide including but not limited to Melbourne, Brisbane, Perth and even internationally so you can shop online in the convenience of your own home. Browse our range of outboard and sterndrive propellers today. For more information, please call us today on (07) 5326 1702.